This town was formerly called Ross Ailithir, it was a cathedral town, and seat of the Bishop of Ross. St. Fachtna was founder of the diocese in the sixth century, and also founder of the famous school of Ross. St. Brendan, the Navigator, taught in this school, which was crowded by students from every land. St. Facthna died at the early age of forty-six, but was succeeded in his See by twenty-seven bishops of his own tribe, all descended from Ith, the paternal uncle of Milesius. The Four Masters make frequent mention of Ross-ailithir during the ninth century. It was ravaged by the Danes in 840. In the tenth and eleventh centuries we find no mention of a bishop or abbot but only of an “airchinnech,” that is a lay man exercising ecclesiastical jurisdiction. This probably was necessary owing to the disturbed state of the times. Those persons had always ecclesiastics under them to perform spiritual functions. 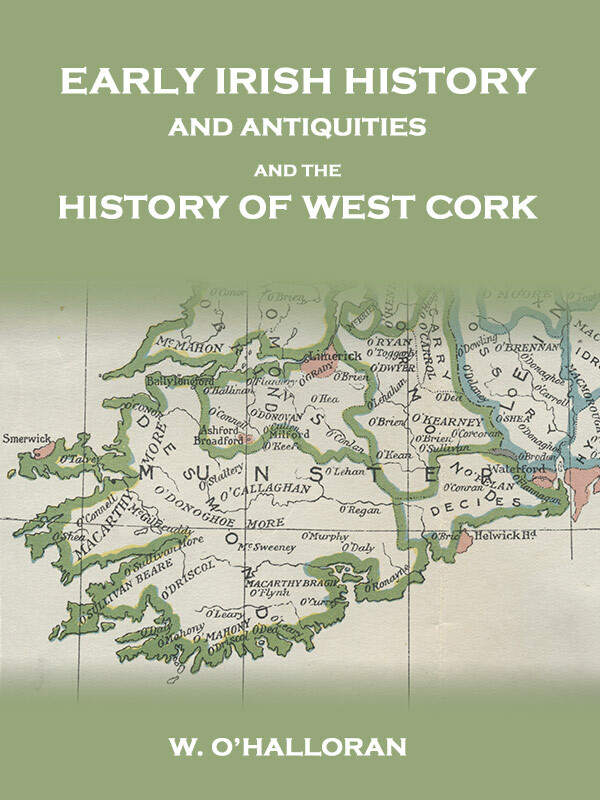 Read The History of West Cork at your leisure and help support this free Irish library. Enjoy this book on just about any device of your choice. Full hyperlinked contents and index have been included to make navigation easy, and the experience pleasurable. The ebook is available in .mobi (for Kindle), .epub (for iBooks, etc. ), and .pdf formats. See details ».